We are so excited that you will join us for this special workshop. Look for a confirmation email from Serenity & Style Designs. If you have any questions, please send us an email to events@serenitynstyle.com. 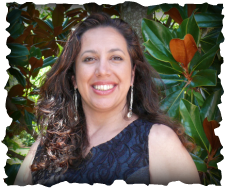 As a creative, intuitive & healing arts educator, transformational life coach, certified feng shui & Graceful Lifestyles practitioner, Marcela Lily provides a holistic and dynamic approach to self-development through her Star Quality coaching programs as well as her individual in-depth services and workshops. Her practice, Serenity & Style Designs embodies her mission to integrate various modalities, including Eastern metaphysics, vibrational energetics within the creative, intuitive and healing process. & relationship expansion through awareness. feng shui — face, space & star analysis. Cancellation policy: Full refund if you notify us 24 hours prior to start of workshop! 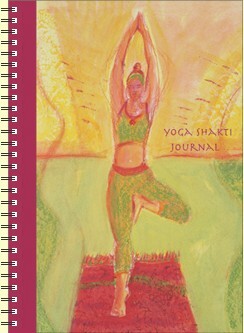 Selections of meditative yoga text & paintings of yoga asana/poses throughout. Contains elastic band closure.